You learn something new every day. The standard rule for sauvignon blanc is to drink it within 2 years, maybe 3 years right? Well, maybe not. I just saw James Halliday’s review of 2008 / Domaine A / Lady A / Tasmania / Sauvignon Blanc in his May newsletter and the recommended drinking is out to 2018. So surprised by it that I double-checked. Yep, 2018 it is – more of a Bordeaux style apparently (and with a limit of 6 per customer from the winery). 2009 / Desert Heart / Central Otago / Pinot Gris / S$35 at Wine Exchange Asia. 86 points from Bob Campbell (“above average”) with a RRP of NZ$24. This price puts it into the “terrific value” BBI. 2010 / Rockburn / Gibbston Valley / Pinot Gris / S$32 at Wine Exchange Asia. 85 points from Bob Campbell, still in the “above average” category, still in the “terrific value” BBI. RRP of NZ$25. 2010 / Sacred Hill / Marlborough / Sauvignon Blanc / S$26.67 by the half case at Le Vigne. Slightly less points from Bob Campbell (84) than the other two wines but still “good”. The price is stunning though. With a RRP of NZ$22, I don’t know how they do it at S$26.67. Outstanding value. Frankly, it’s a toss up between the Rockburn and the Sacred Hill today. 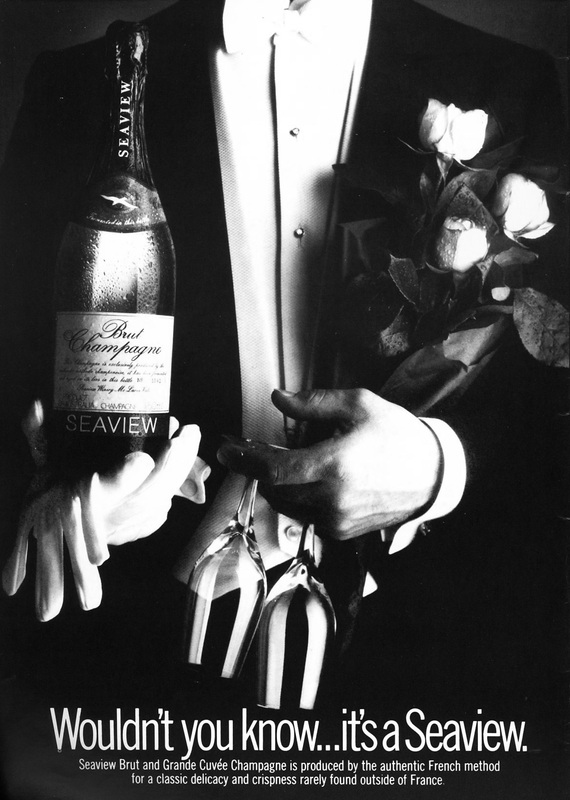 The way things were: 1978, when champagne didn’t necessarily come from Champagne.